Facebook yet in an new privacy scandal - What's at stake? 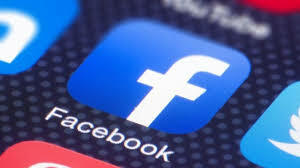 Facebook has now opened another controversy and said to be involved in a scandal of sharing of user data with device makers such as Apple, Amazon, Samsung and others over the past decade. social networking portal has acknowledged the data sharing deals, which it says it's _ according to a New York Times report _ it has struck with at least 60 device makers since 2007. But it says there's nothing scandalous about them. Facebook failed to get the explicit consent of users before sharing their data. If so, that could place it in violation of a 2011 consent decree with the Federal Trade Commission. Facebook denies it shared user data without consent. These device-maker deals could raise concerns similar to those in Facebook's recent Cambridge Analytica scandal. That's where a Trump-connected political consulting firm used data derived from as many as 87 million Facebook profiles in order to sway election results. Facebook VP Ime Archibong wrote that the company worked closely with device makers to ensure that they only used the data to ``recreate Facebook-like experiences'' on their phones. He denied that users' information was shared without their consent.